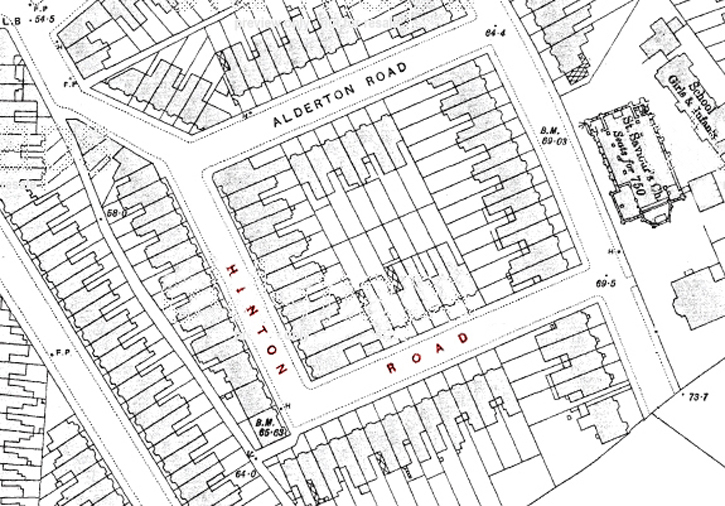 Shortly after the 1891 census taken on Sundat 5th April George Musgrove and family moved from 48 Lorrimore Road Walworth to 57 Hinton Road Herne Hill. The School Register extract below shows when Herbert Musgrove was admitted to Jessop Road School on Monday 27th April 1891. We assume the family moved just before then. The register shows correctly that Herbert previous school for two years had been St Pauls Walworth. It then says Henry was removed from the school 31st October 1893 which is incorrect. The Musgrove family cosisted of George and Emily and their 9 children together with Emily's younger sister Ada Harris who joined them around this time. 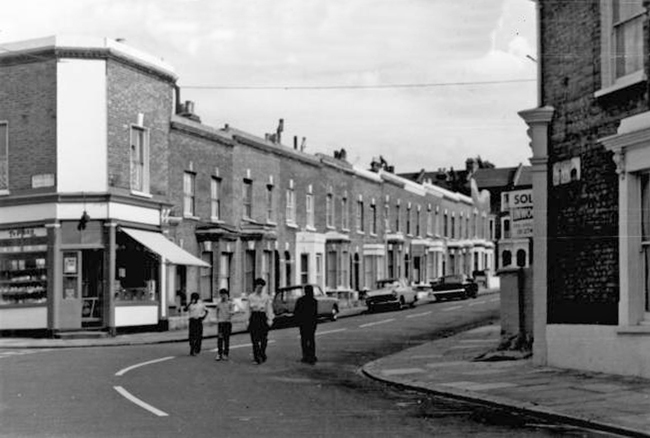 Hinton Road Pictured in 1968 from the juction with Alderton Road. The Musgrove's home at 57 was 4 doors down from the corner shop. 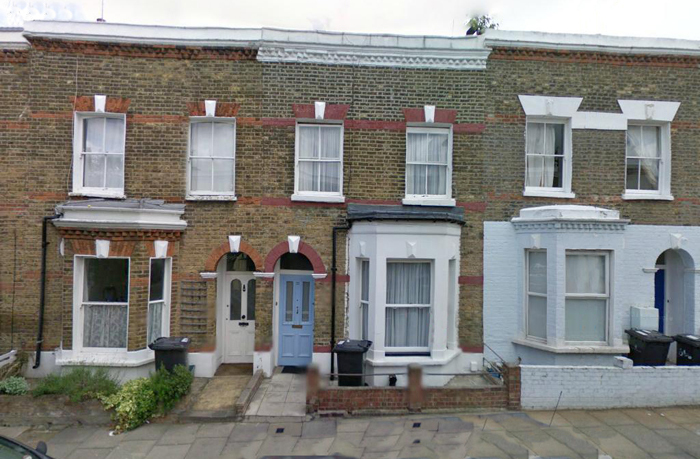 Shown below is 57 Hinton Road present day. The house with the blue door.